Day 82: Should We Change the Culture of Instruction? I’m helping to lead a Technology Integration Team at my school this year. 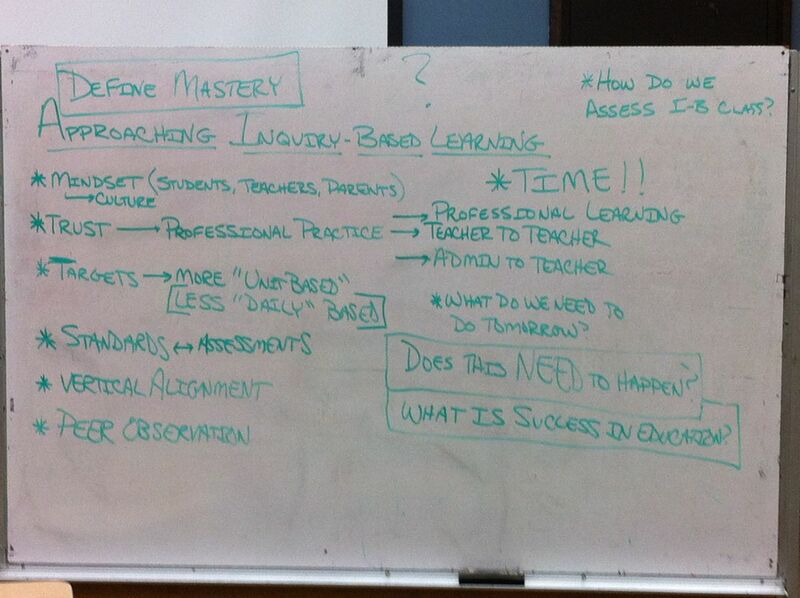 As I’ve mentioned before, we don’t need a technology integration team, we need an instructional best practices team. I’m pleased that the direction of our team has completely shifted away from technology and is now squarely focused on instruction. This afternoon we discussed at length what is required to change the culture of our school to make the transformation to inquiry-based learning. What are the challenges? And, critical to answer first, does this need to happen? Should we bother to try and do this? When we meet again in January, we will each share our thoughts on the above questions. I have a lot of thinking to do and would appreciate any ideas you have as well. I feel fortunate to work at a school with colleagues who feel passionately about instruction and tackling these large issues and administrators who promote this vision and support these efforts.